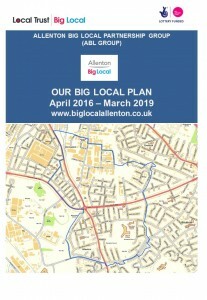 This is the approved and published Big Local Plan for April 2016 to March 2019. 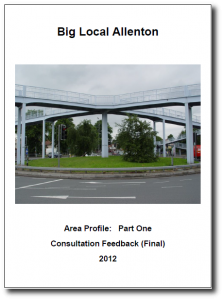 Our previous plan for the period 2014 to 2016 can be viewed here. The Year 2 budget within our first plan (for 2015/16) was revised and updated in July 2015 and can be downloaded here. 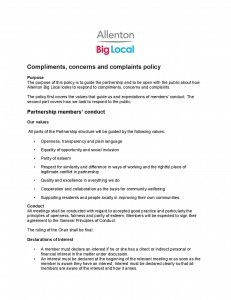 This policy contains full details of how we deal with compliments, concerns and complaints. 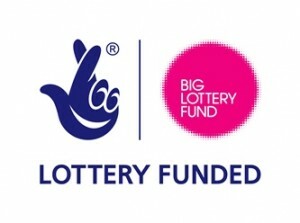 If you would like to send us a comment of any kind, you can get in touch using the contact link at the top of this page of the website.